Fire Leadership Challenge brings leaders of all ranks together for valuable instruction and inspiration. It's here that you hear from subject matter experts who will challenge each and every attendee to look at how they lead from a new perspective. Attendees leave with data to make important decisions and perspective to help guide them as new problems arrive. Division of Fire Prevention and Control, and the Colorado Professional Fire Fighters to Fire Leadership Challenge. 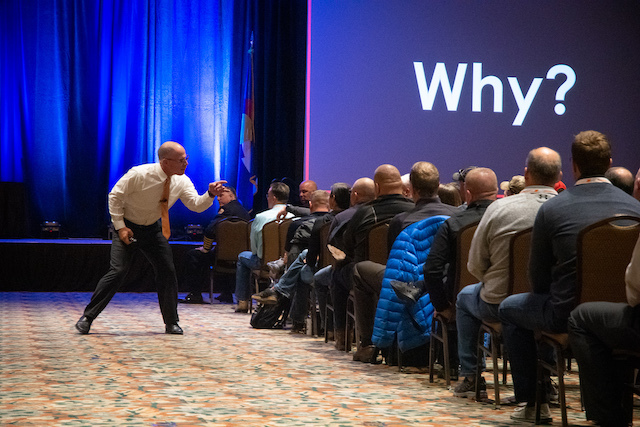 Each year this conference continues to grow bringing together nearly 600 fire officers, firefighters and suppliers for education and networking. Make this the year you attend! EXHIBITS: Establish important vendor relationships while discovering the latest technology, equipment and resources available to help you do your job more efficiently. EDUCATION: The core education focuses on everything you need to know in areas such as operations and administration while also addressing the critical issues and leadership topics essential for success. Plus, Fire Leadership Challenge is the only state chief's currently offering chief officer and company officer levels of the IAFC Officer Development Program. Welcome Reception: Start the week off right as you connect with colleagues old and new. Enjoy great refreshments surrounded by great company. Exhibitor Reception: Red, White and Blue Fire District invites attendees to the Exhibit Hall for fun games, great giveaways and the opportunity to gather with attendees and exhibitors. Bluejeans, Bluegrass and Beer: We close out the conference with live music, food and drinks. You're sure to leave having expanded your network of peers and with new contact you can call on through out the year. Thank you to our Sustaining Partners for their ongoing support of Fire Leadership Challenge.